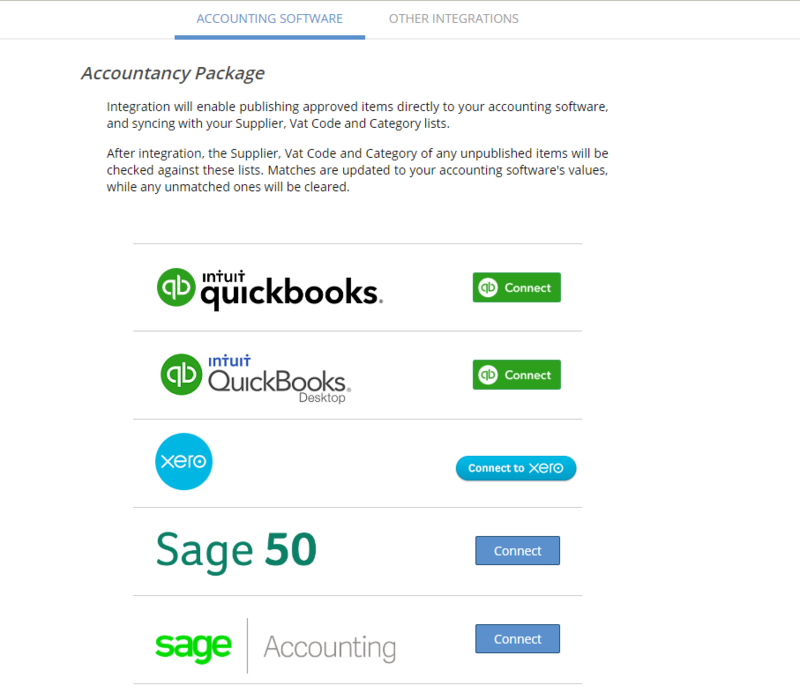 To connect AutoEntry to your accounting software, simply go the Integrate tab which you can find on the left hand side of the company home page. The full list of packages available are available Here. For desktop accounting solutions (Sage 50, QuickBooks Desktop and Reckon Hosted) there are specific instructions that are linked through when you click 'Connect'.